Felipe D.J. 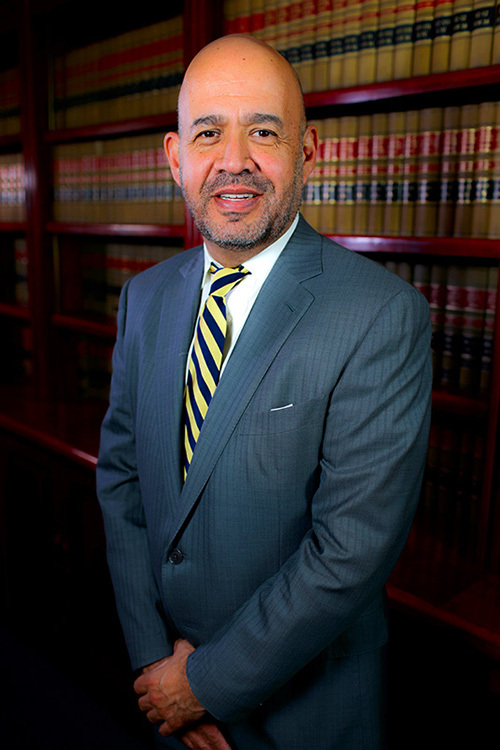 Millan began practicing law in Ciudad Juarez, Chihuahua, Mexico, for the law firm of Angulo, Calvo, Enriquez & Gonzalez, S.C. Mr. Millan subsequently joined the law firm of Baker & McKenzie, working out of both their Ciudad Juarez and their Dallas, Texas offices. In November of 1994, Mr. Millan began his private practice in El Paso, Texas. In addition to his practice of the law and his management of his firm, Mr. Millan also serves as a frequent lecturer on immigration matters, making himself available to different educational institutions and professional forums. Born and raised in El Paso, Texas, Felipe D.J. Millan graduated from Stephen F. Austin High School in 1985. In 1989, Mr. Millan received his Bachelor’s Degree in History from Williams College in Massachusetts, one of the leading liberal arts colleges in the United States. Upon graduation from Williams College, Mr. Millan returned to the Southwest and attended its leading law school, that of the University of New Mexico in Albuquerque. Mr. Millan received his Juris Doctorate in 1992. Felipe D.J. Millan is licensed to practice law in the states of New Mexico and Texas. He has also been admitted to practice before the United States District Court for the District of New Mexico and the United States District Court for Western Texas, as well as the United States Court of Appeals for the Fifth, Ninth, Tenth and Eleven Circuit. Mr. Millan has also earned the added distinction of board certification specifically in Immigration and Nationality Law by the State Bar of Texas. The attorneys of Felipe D.J. Millan, PC ® are dedicated to serving all persons in need of assistance in relation to United States Immigration Law.